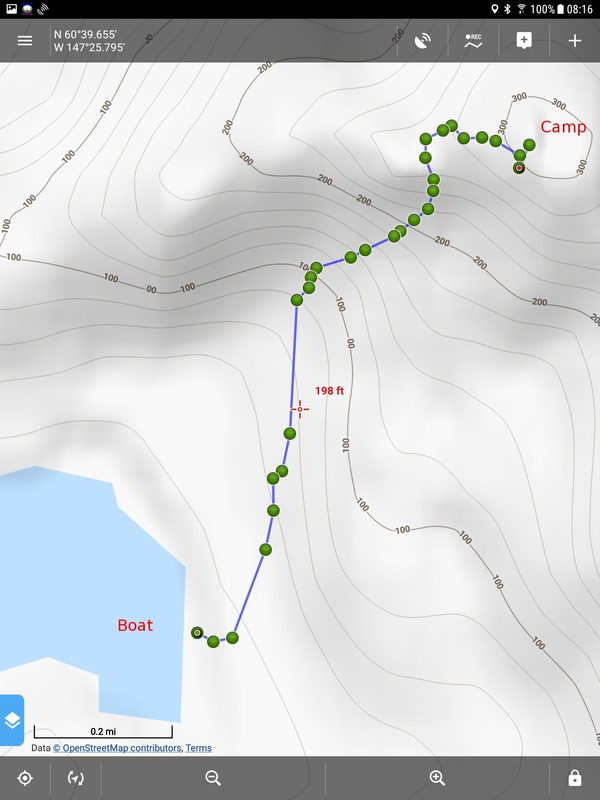 I like living on my boat, but I'm a fan of camping so I try to schedule an overnight camping expedition, usually on an island without bears. 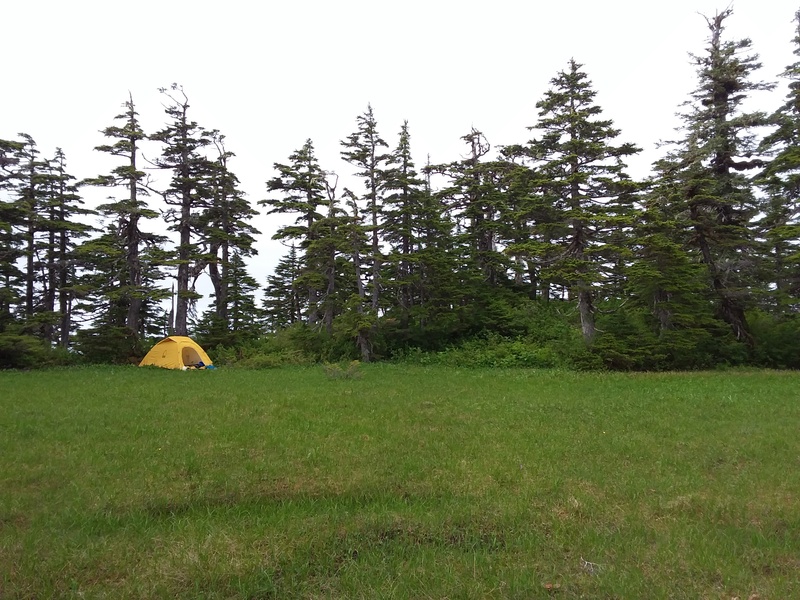 This year I made my third tent-camp outing at Cabin Bay in the Naked Island group of Prince William Sound. 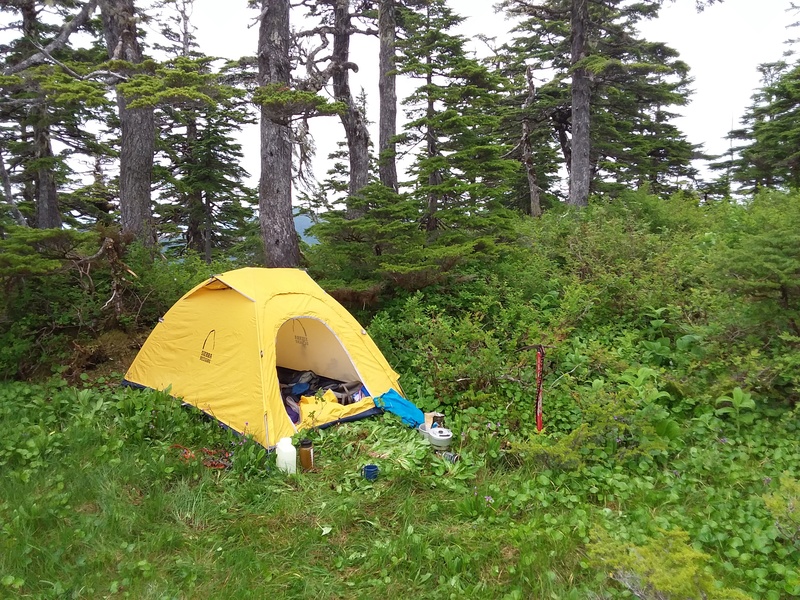 One of the perks of a camping trip in Prince William Sound is the fact that one can sustain oneself on blueberries, which grow everywhere. But this year, because of a particularly cold spring, there were no blueberries during the months I visited (i.e. May through the first week of August), so no entracurricular treats. It was a nice outing anyway. 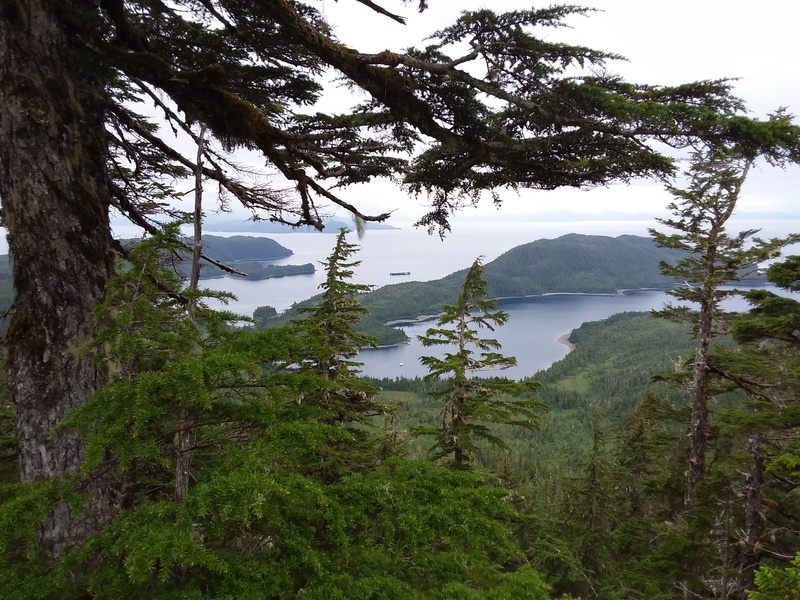 Be sure to see my drone-acquired photospheres of this island, starting with this example.